One day whilst having a family conversation, James Collins explained he had a vision, a vision of setting up and running his own company. This company would be like no other as James prided himself on making it work based upon 4 morals. Those morals would make his company stand out from the crowd and be an instant hit. Whilst Ideas were flowing and the list was ever growing, James settled on the 4 following morals. Always tell the truth regardless of the outcome. Based upon his morals James knew his vision would become a reality. 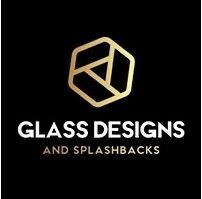 After a few months of setting up “Glass designs and splash backs” was ready to go live. James still prides his company on the same 4 morals he set out with and has seen his company grow from strength to strength with extra members of staff being employed. So for all your glass needs please get in touch for a personalised experience from a company that cares with 16 years experience and a keen eye for detail.